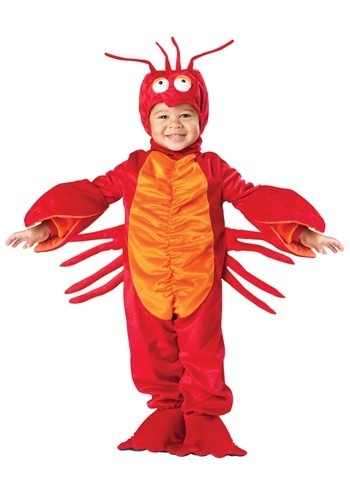 Celebrate life under the sea in this toddler lobster costume. 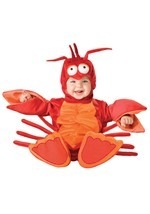 The cute lobster costume includes a soft polyester jumpsuit with a satin lining and a zipper in the back for a comfortable fit. 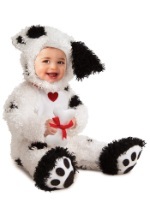 The suit is red with an orange tummy and four little plush legs poking out of each side. Elastic lines the tummy for additional comfort. 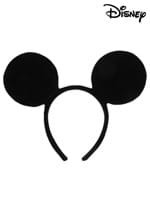 Each sleeve ends in an elastic cuff, surrounded by a big polyester pincer claw. The bottom of each pant leg also features elastic bands to keep the legs in place. The shoe covers look like a lobster tail and velcro into place. An elastic band at the bottom keeps the covers secure and a black bottom adds extra detail. The red polyester hood features two little white eyes poking out the top, as well as four antennae popping out of the top. Satin lines the inside of the hood for comfort and Velcro below the neck keeps the headpiece secure. 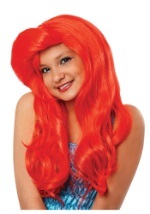 Looks great paired with a Little Mermaid costume!